Though I have already twice suffered chains and imprisonment in Bohemia, an indignity which has been offered to me in no other part of the world, yet my mind, remaining unbound, has all this time exercised itself in the study of that philosophy which is despised only by the wicked and foolish, but is praised and admired by the wise. Nay, the saying that none but fools and lawyers hate and despise Alchemy has passed into a proverb. Furthermore, as during the preceding three years I have used great labour, expense, and care in order to discover for your Majesty that which might afford you much profit and pleasure, so during my imprisonment – a calamity which has befallen me through the action of your Majesty – I am utterly incapable of remaining idle. Hence I have written a treatise, by means of which your imperial mind may be guided into all the truth of the more ancient philosophy, whence, as from a lofty eminence, it may contemplate and distinguish the fertile tracts from the barren and stony wilderness. But if my teaching displease you, know that you are still altogether wandering astray from the true scope and aim of this matter, and are utterly wasting your money, time, labour, and hope. A familiar acquaintance with the different branches of knowledge has taught me this one thing, that nothing is more ancient, excellent, or more desirable than truth, and whoever neglects it must pass his whole life in the shade. Nevertheless, it always was, and always will be, the way of mankind to release Barabbas and to crucify Christ. This I have – for my good, no doubt – experienced in my own case. I venture to hope, however, that my life and character will so become known to posterity that I may be counted among those who have suffered much for the sake of truth. The full certainty of the present treatise time is powerless to abrogate. If your Majesty will deign to peruse it at your leisure, you will easily perceive that my mind is profoundly versed in this study. (47) Hence they are mistaken who strive to elicit the medicine for the tinging of metals from animals or vegetables. 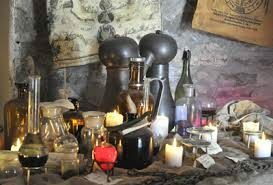 The tincture and the metal tinged must belong to the same root or genus; and as it is the imperfect metals upon which the Philosopher’s Stone is to be projected, it follows that the powder of the Stone must be essentially Mercury. The Stone is the metallic matter which changes the forms of imperfect metals into gold, as we may learn from the first chapter of “The Code of Truth”: “The Philosophical Stone is the metallic matter converting the substances and forms of imperfect metals”; and all Sages agree that it can have this effect only by being like them. The “Rosary” bids us be particularly careful, lest in purifying the quicksilver we dissipate its virtue, and impair its active force. A grain of wheat, or any other seed, will not grow if its generative virtue be destroyed by excessive external heat. Therefore, purify your quicksilver by distillation over a gentle fire. In the “Ladder of the Sages” we are told to beware of vitrification in the solution of bodies, with the odour and taste of imperfect substances, and also of the generative virtue of their form being in any way scorched and destroyed by corrosive waters. I advise all and sundry to follow my teaching, as to the correctness of which my quotations from the ancients can leave no doubt, which also has received further confirmation from my own experiments. Any deviation from this course leads to deception, except only the work of Saturn, which must be performed by the subtilization of principles. The Sages say that homogeneous things only combine with each other, make each other white and red, and permit of common generation. The important point is that Mercury should act upon our earth. This is the union of male and female, of which the Sages say so much. After the water, or quicksilver, has once appeared, it grows and increases, because the earth becomes white, and this is called the impregnation. Then the ferment is coagulated, i.e., joined to the imperfect prepared body, till they become one in colour and appearance: this is termed the birth of our Stone, which the Sages call the King. Of this substance it is said in the “Art of Alchemy” that if any one scorches this flower, and separates the elements, the generative germ is destroyed. The Insanity Of Modern Television & Entertainment. What Happened?